Shall we wrap up Purple Flowers Week 2018 with something in a metallic pink bottle? Absolutely! 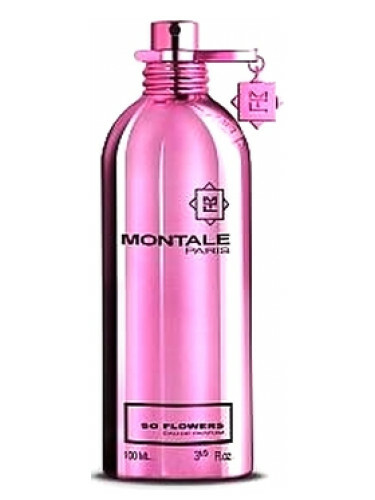 Montale So Flowers is one of those that says a lot with its brief name. It smells like so much flowers. So many. So Flowers is like the epitome of a heady floral. It’s a huge bouquet of hyacinth and white florals. I also get something that is like peach-scented nail polish remover. It settles into a heady, honey hyacinth and roses. I typically like my hyacinths more green than this, but there’s something about So Flowers that I like here. It has greenness but it’s mostly indoles and some powder. This gives the perfume an “old-fashioned” vibe while also being like something that would come in a metallic hot pink bottle. It’s bold, which is exactly what I expected. As it wears, it starts to decay, a trait that I prize in a floral. This huge bouquet starts to lose some petals and the stems go limp. The dry-down is like a mossy rose, iris and musk (that reminds me of everything I loved about old-school, non-reformulated Annick Goutals). So Flowers isn’t an exceptional fragrance. I mean, there are so many florals out there. It’s a popular genre. But, even if it’s a a bit redundant, it’s still enjoyable, especially if you like bold 80’s-style florals. Notes listed include hyacinth, jasmine, iris, rose, ylang-ylang and musk. Launched in 2010. Give So Flowers a try if you like heady, floral perfumes or powdery hyacinths. Or perfumes like Amouage Lilac Love, Neil Morris Rainflower, Annick Goutal Grand Amour and/or Cacharel Anaïs Anaïs. Projection and longevity are above average. Isn’t that what you expect from Montale? The 3.4 oz retails for $170 at Osswald. Samples are also available for purchase. Victoria’s Final EauPINION – Huge floral with a lot of jasmine and hyacinth. See, Montale can do things other than “aoud”! *Sample obtained by me. Product pic from Fragrantica. 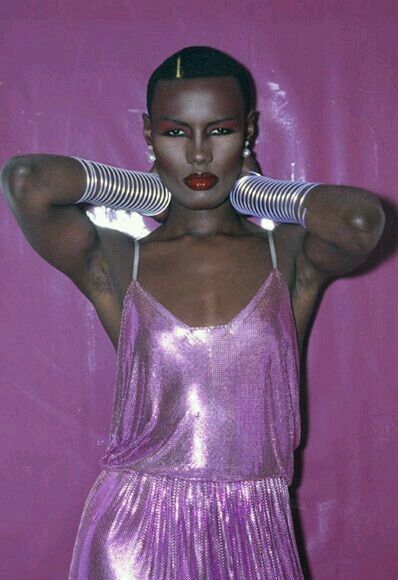 Grace Jones from fanpix.net.